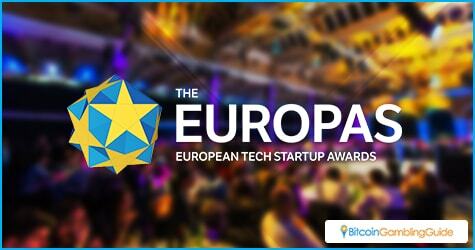 June 14 has come and gone and The Europas Startup Conference & Awards have revealed their batch of winners for this year. Conceived by tech pundit Mike Butcher as a way to introduce some of the hottest and interesting startups in Europe, it is a different kind of tech conference that encourages free discussion and the recognition of innovation. There were several different categories being rewarded. One of these was for the Best Blockchain Startup. For this award, the conference goers picked Credits among the tough field of competition. When people think of the blockchain, they often think about Bitcoin. The truth is that blockchain technology can itself act as the product. Credits offers a Platform-as-a-Service, allowing companies to create their own blockchains to act as virtual ledgers or proofs of identity. For example, with blockchains a company can have personalized digital identities that are used for network access instead of using passwords and usernames. This is both more secure and easier for the people involved. As long there is a need for authentication, data reconciliation, or data provenance, being able to set up a personalized blockchain is an effective solution. Credits’ service is an excellent one, but the competition was fierce. 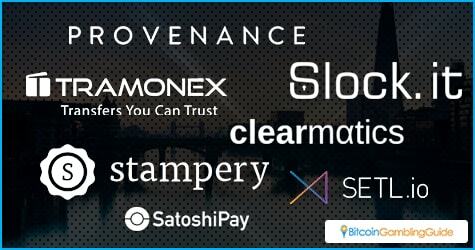 Other blockchain startups were providing excellent products of their own. The field was narrowed to seven other startups and they each were impressive in their own right. Provenance. This blockchain startup helps people track down where the product they are buying comes from. In this day and age, customers want the best possible products. Provenance can follow the chain of supply to where it started and who made a product. People who want ethically-sourced items would love this service, as well as those who want to support specific regions. Slock.it. Deciding to do for offices what AirBnB did for apartments, Slock.it allows people to rent out their unused items and spaces to businesses in need of office space and supplies. Using the blockchain to authenticate and automate ownership and leasing, it makes opening an office easy. Stampery. Notarizing documents are taken into the blockchain space with Stampery. Companies can have documents immediately notarized and digitally backed up with this service. SETL. The company offers a platform that lets anyone to operate a permissioned registry service for payments, settlement and clearing of cash and other financial instruments with just a simple installation. Clearmatics. Clearing trades and contracts is an important part of the financial market. The procedure can be automated via the blockchain. With smart contracts that automate procedures and distributed ledgers to ensure that no data is lost, companies can automate their financial dealings on the market with this service’s help. Tramonex. Direct currency trading made easy is the idea behind Tramonex. With 40 currencies and global coverage, those using this service have an advantage on the forex market. Satoshipay. Nanopayments are the wave of the future and Satoshipay allows for quick international transactions with just a cent. All of these products are promising and may not seem to attract many sectors just yet. However, the potential is there. As startups develop blockchain services and technologies, more of them enter the mainstream. For example, the services being developed by Tramonex and Satoshipay would be useful for online gambling, while variation of SETL and Stampery can be used to confirm bets and wagers. As more and more startups develop new variations and services, people can expect mainstream services to improve and become better.